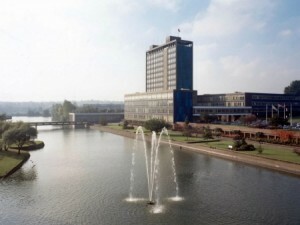 Modernist buildings grace the majority of towns and cities in the UK and are often considered landmarks for their unique appearance. They also represent a historical vision of the future and were once deemed to be socially progressive buildings that provided a forward thinking modern urban housing solution. 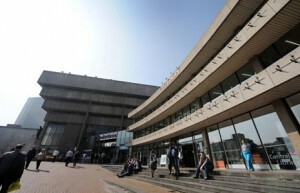 Some of the most well know modernist buildings include the iconic Grade II listed Trelik Tower located in North Kensington, London, and the soon to be demolished Central Library in Birmingham. Both of these buildings represent two great examples of the modernist approach and highlight the key principles of the architectural style, especially when it comes to the versatility that combining concrete and glass can bring to a project. In recent years many modernist buildings, like Birmingham Central Library, have been marked for demolition, however over in Sheffield the once run down Park Hill estate has just undergone a full renovation that has breathed new life into one of the country’s’ most renowned modernist high rise estates. 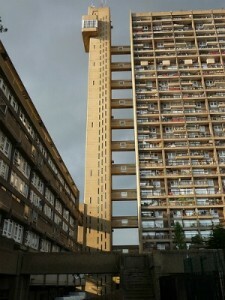 Opened in 1961 Park Hill was seen as the future of social housing with many referring to its layers of walkways as ‘streets in the sky’, a far cry from dirty narrow terraces that the first phase of residents had endured during the early half of the 20th Century. However, over time the estate fell into disrepair and became notorious for crime, something that was said to be heightened by the network of walkways and dark corners that were common across the site. The entire estate would probably have been raised to the ground if it wasn’t for its Grade II listed status that was granted in 1998 making it the largest listed building in Europe. 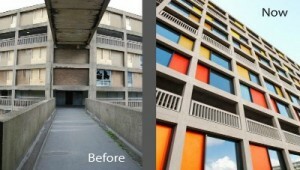 Since undergoing a full renovation Park Hill is set to rekindle its status as one of Sheffield’s most liveable buildings. Apartments within the estate, thanks to new ceiling to floor windows, provide occupants with fantastic views over the city and surrounding South Yorkshire countryside. This, coupled with the installation of energy-efficient measures, make Park Hill an interesting and modern place to live offering a reminder that large dilapidated social housing projects can be transformed and refurbished for the good of a community. Modernist architecture also has an influence on the working lives of many of the staff in our St Helens office, and the site is a glowing example of the discipline. Also a grade II listed building the former Pilkington Head Office was designed by Maxwell Fry and Jane Drew in the late 1950s. It was completed in 1963 and appeared at a time when the company was undergoing extensive growth as a result of the success in creating and exporting the float line process. The innovation that occurred during this period is still flourishing today as our glass technicians and staff devise new glazing solutions that are helping architects make their mark on the future, just like the modernists did almost half a century ago.